Every roll off tipper in accordance with DIN 30722 is able to pick up this type of front loader. Between 7,5 and 8 t payload stay available. Without any problems you can connect the hydraulic and immediately you can work with the front loader. 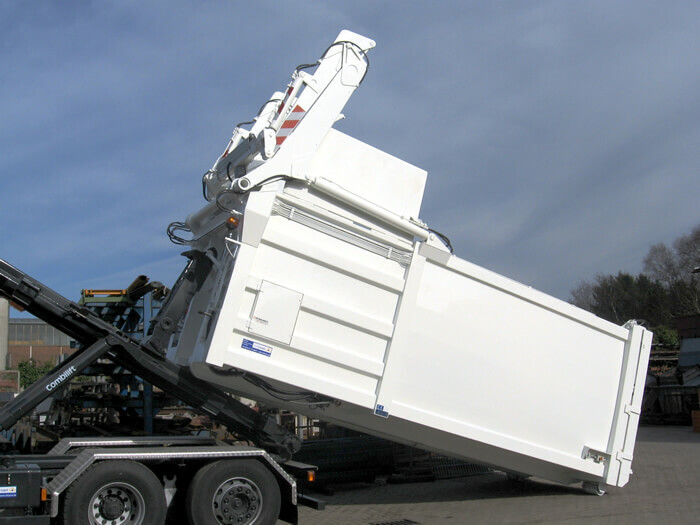 After the collecting tour you can set down the front loading system and do your normal job with the roll off tipper. The fitting of 30 m³ with the press and the strong fork lifter of 3500 kg lifting capacity are well-tried components of our front loading family. 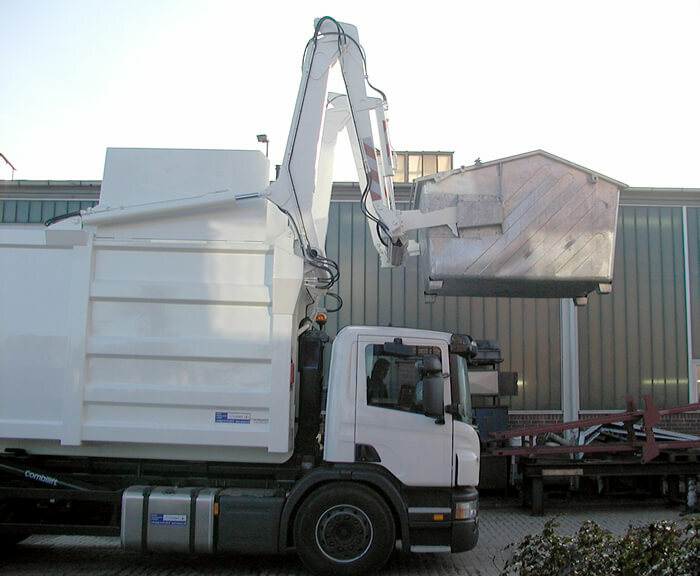 They do the disposal of the market with the MGB 2,5 and 4,5 m³ (DIN 30738) and containers up to 5 m³. With an additional lifting point also DIN container of 1,1 m³ can be emptied. 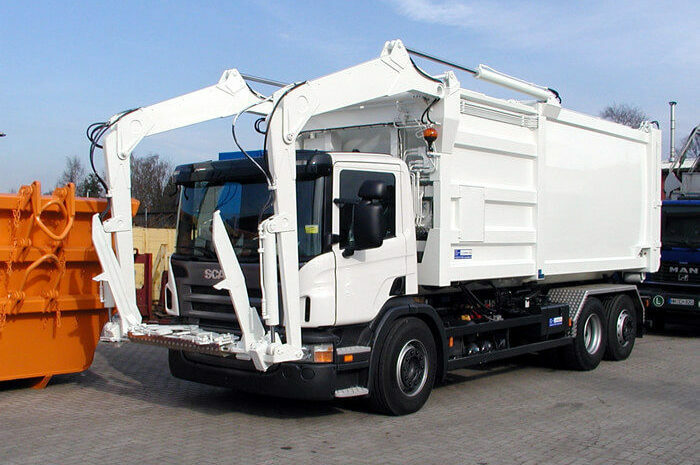 Use your existing truck pool and start with the disposal of industrial waste!